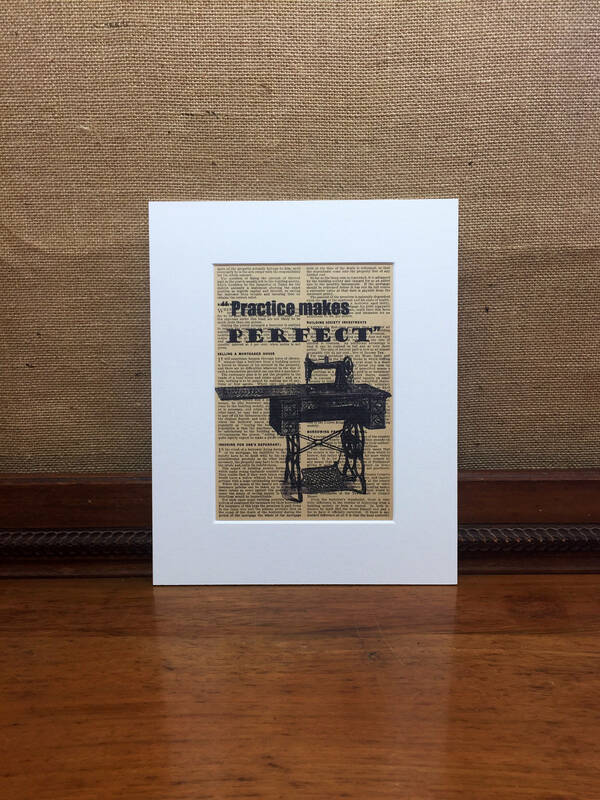 An 8x10" vintage inspired image depicting an antique singer sewing machine with the quote: "PRACTICE MAKES PERFECT"
Printed in rich black on an original vintage dictionary book page which has a lovely age old patina. 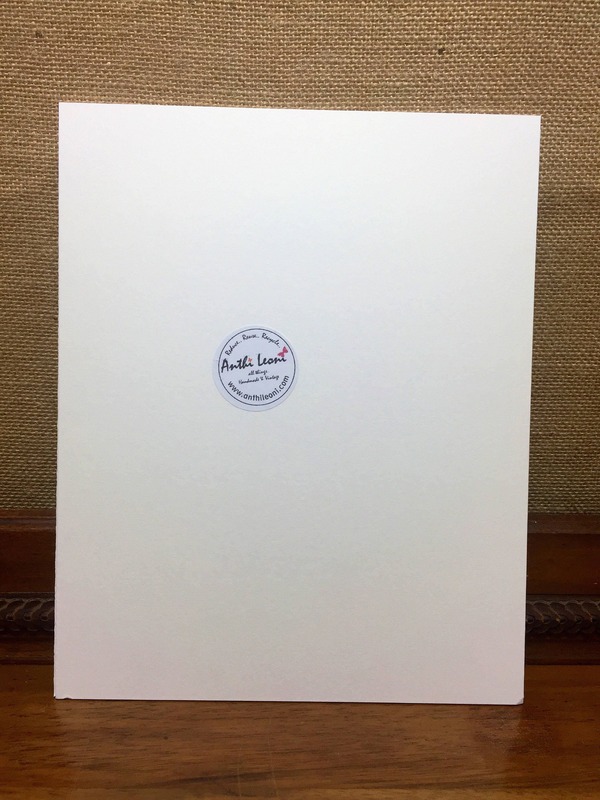 Each printed page is unique and mounted in white with a backing board and placed in a clear cellophane bag making it an ideal gift. 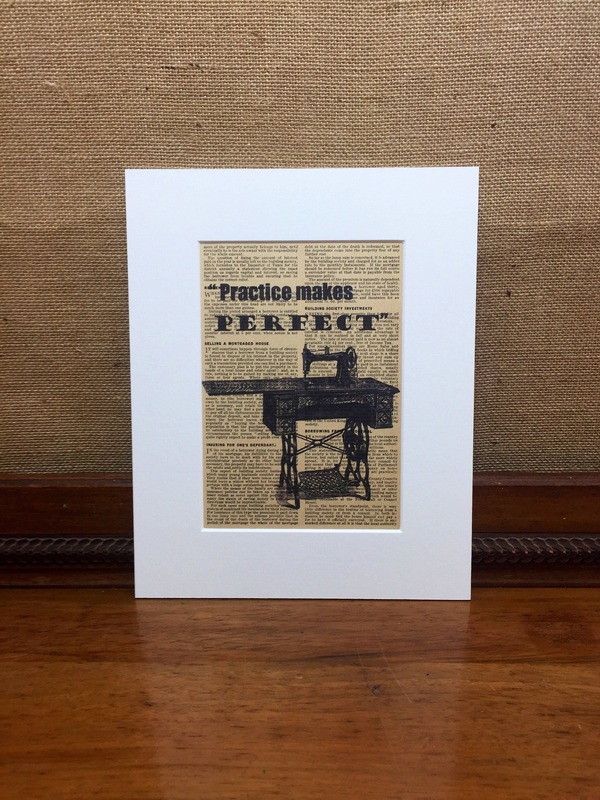 Are you a sewing enthusiast or looking for the perfect crafter's gift? 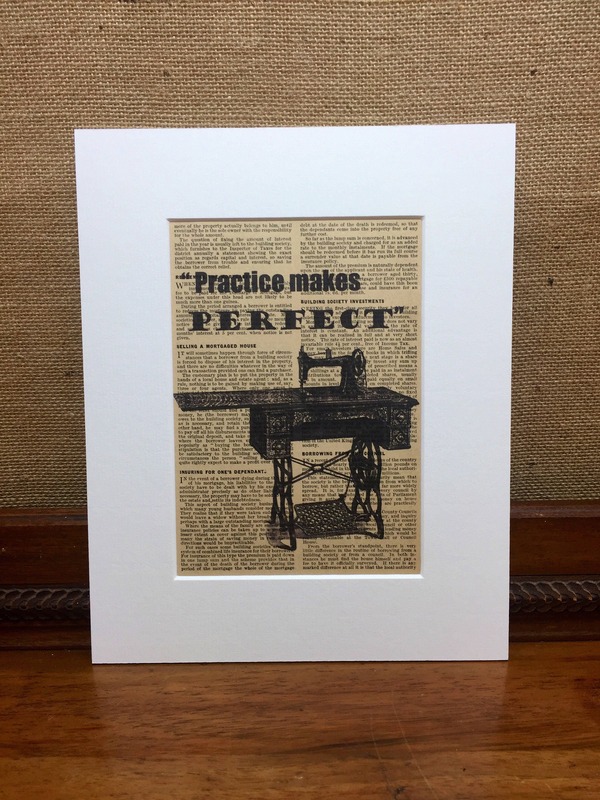 Then this lovely print is ideal and will look great hung on a craft room wall, or even in the living room, dining room or how about a hallway gallery wall.